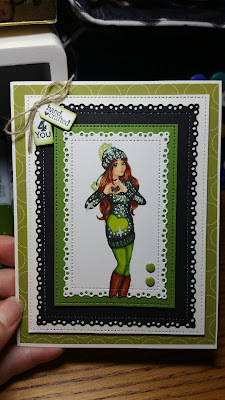 A couple days ago, I posted about the Sparkle Challenge that Make it Crafty had last month. The idea of the challenge was to create the illusion of sparkle on an image, rather than using glitter, sparkle pens, etc. 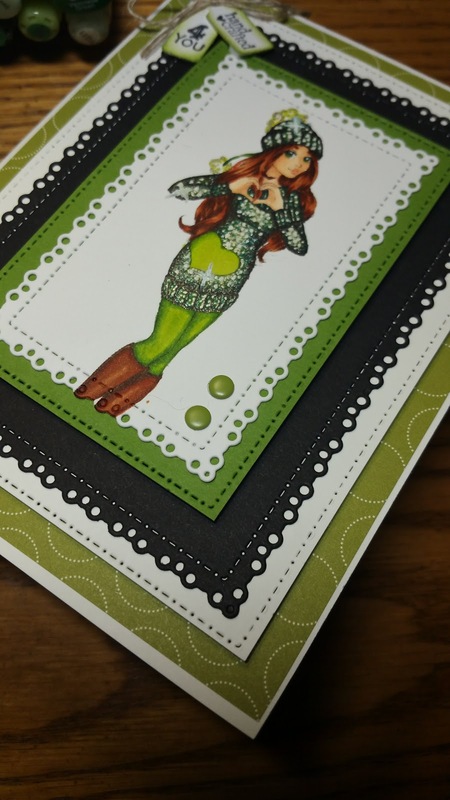 I used gel pens to create my "sparkle" but hadn't actually used the image to make a card yet! Well, today I got to work putting a card together. The image is quite small, so I decided to use layering to fill the space. I rather like how it looks with all the green and black! After all the layers were put together, I decided it needed just a little something on the corners to pull it all together. I got out my Tiny Tags stamp set and matching punch from Stampin' Up! 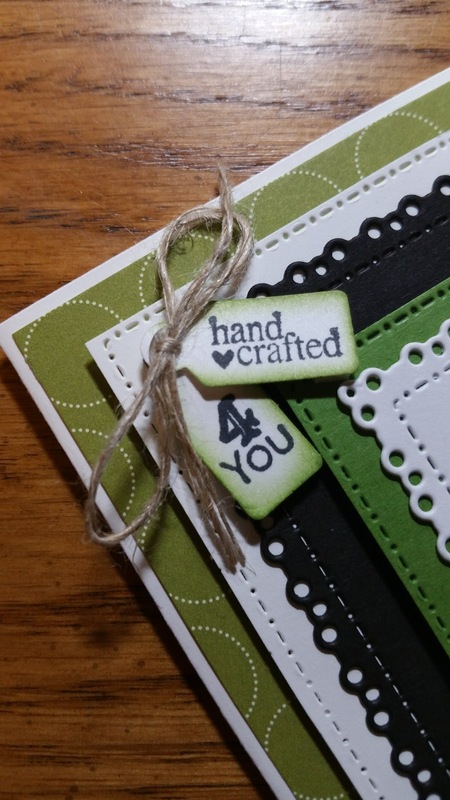 (retired set and punch) and stamped the "hand crafted" and "4 YOU" sentiments. I punched them out with the matching punch, then sponged the edges and added a little linen bow. To keep it balanced, I stuck a couple of green "candy dots" in the bottom right corner. I'm so happy with how she turned out! This card is going to a special friend for her birthday. I won't say who, just in case she happens upon the blog, since I haven't given it to her yet. Thanks so much Donna! You are always so kind and encouraging! I appreciate you so much! Hi Melanie! Thank you for your comment! I just started entering challenges in December. I apparently forgot to link back to your challenge. I'll remember next time!